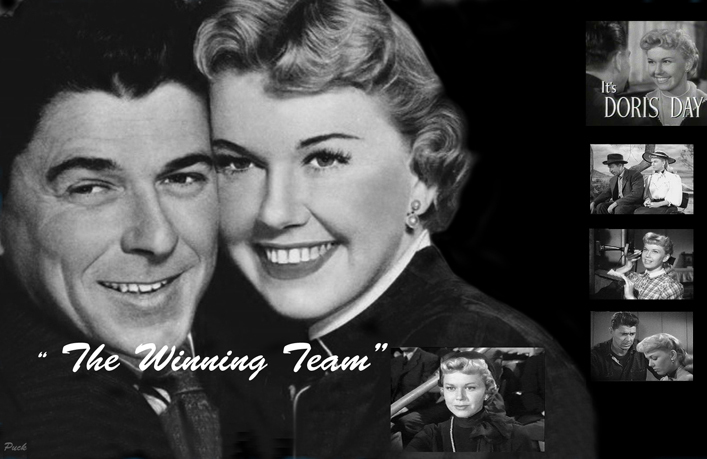 Another film in a biography mold, Doris plays the wife of baseball star, Grover Cleveland Alexander,( Ronald Reagan). The only song sung was “Ol St. Nicholas”, while a tree is decorated. Ronald Reagan delivers one of his best screen performances as baseball great Grover Cleveland Alexander in The Winning Team. The title refers to the mutually supportive relationship between Alexander and his loving wife Aimee (top-billed Doris Day); the real Aimee Alexander served as the film's technical advisor. While the basic milestones of Alexander's career are adhered to, the film is a typical Hollywood blend of fact and fancy-plenty of fancy. While playing in the minors, Alexander is hit on the head by a thrown ball, resulting in the dizziness and double vision that would ever after plague him. After toting up a record of 28 wins with the Philadelphia Phillies, Alex is traded to the Cubs, but World War 1 intervenes. On the battlefield, Alex suffers a recurrence of his double vision; and when he plays his first postwar game with the Cubs, he collapses on the field. Warned that his seizures will persist if he doesn't retire, Alex swears the doctor to secrecy. When the dizzy spells continue, Alex turns to drink. Branded an "alky", he descends to the depths of a House of David-style team, thence to the humiliation of carnival side shows. With the help and support of both Aimee and his old pal Rogers Hornsby (Frank Lovejoy), Alex stages a spectacular comeback, striking out Yankee Tony Lazzeri during the 1926 World Series and leading his team to victory. The script provides an excellent showcase for Ronald Reagan - though in later years he expressed some reservations about it, noting that, by adhering to Warner Bros' insistence that the word "epilepsy" never be spoken, the picture confused audiences as to the true nature of Alexander's affliction. 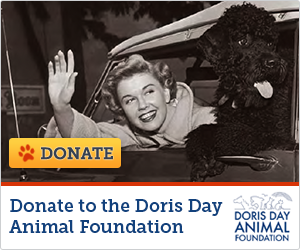 Doris does a superb job in the role of supportive partner, through thick and thin. Grover Cleveland Alexander: You must be so tired, Dear! Aimee Alexander: Why should I be tired? Grover Cleveland Alexander: I've been stealing strength from you all season - every game, every pitch. Without you there, I couldn't have done any of it. God must think a lot of me. He's given me you. Aimee Alexander: Don't you understand, Rog? It isn't enough that I believe in him. Baseball's got to believe in him too! Rogers Hornsby: What can I do to help Alex? Aimee Alexander: Please give him back his life, Rog!